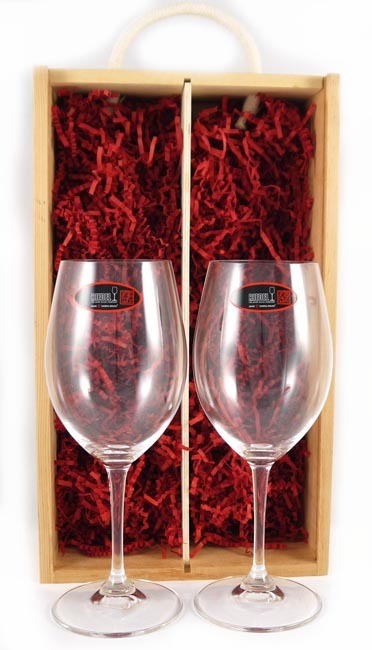 These Degustazione Riedel Red wine glasses are 27% lead crsytal and hold 19.75ozs. They are shipped in a wooden presentaion pack along with your selected bottle of wine. They are also available to order without a wine bottle if required and come in a wooden twin pack.